backward in time and undoes the things that hurt you. 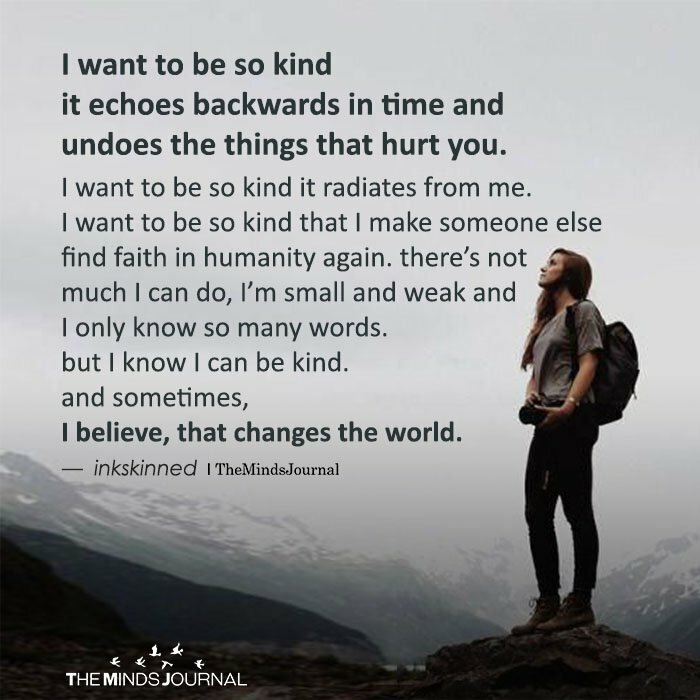 I want to be so kind it radiates from me. weak and I only know so many words. but I know I can be kind. and sometimes, I believe, that changes the world. There is a time for this.